Watch your smart lighting dance. 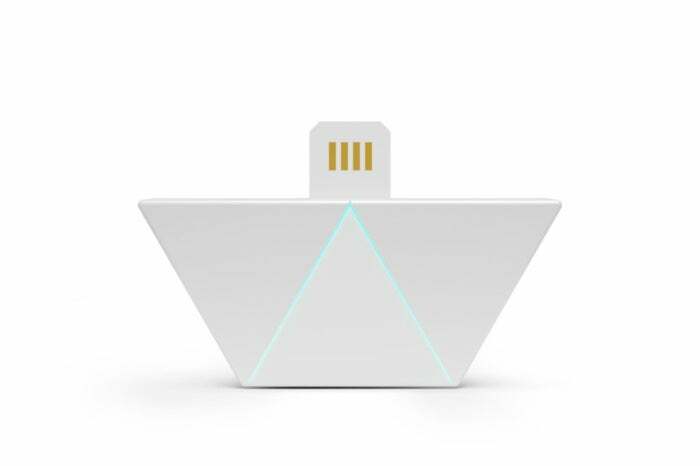 The world’s most frivolous smart lighting system, the Nanoleaf Aurora, gets even more fanciful with its first add-on module. The idea behind the matchbook-sized Aurora Rhythm is simple: It adds a music visualizer to the Nanoleaf system, so panels turn on and off and change color in time with your tunes. If you already have an Aurora installed (and you’ll need one to use the Rhythm), you simply plug the $60 widget into any open connector port on the configuration. No other setup is required. If all went well, the Rhythm module itself will emit a small V of blue light to indicate it’s activated. From there, the rest of the configuration is done via the Aurora app. The app has been significantly revamped since we reviewed it in June. Now it’s more streamlined, simpler, and quicker to use, and you’ll find a new tab at the top of the app: Rhythm. 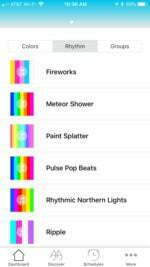 Here is where you change your presets from one of the standard color modes to one of the music visualizer modes. Now your Aurora panels can groove with the music, just like you. Note that these modes are mutually exclusive. You can’t add music visualization to a standard color mode. And more importantly, you can’t customize the eight music visualization modes other than changing the overall brightness. These modes are all highly colorful and fairly random, most of them drawing from hues across the bulk of the color palette. If you prefer one of the more sedate modes, like Forest or Inner Peace, keep in mind that you won’t be able to use them with music visualization turned on. The Rhythm includes eight operating modes, but they really aren’t that different. That’s probably okay, because the Rhythm is really designed with fun and parties in mind, not for creating a spa-like environment. 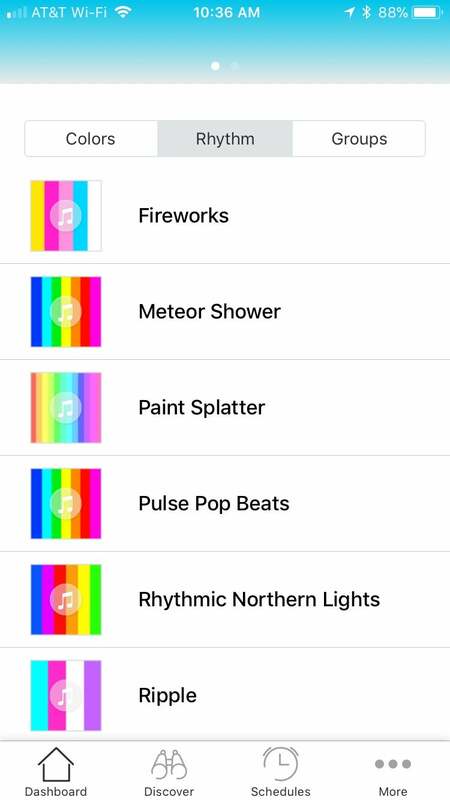 The good news is that it’s easy to switch between a standard color mode and music visualization—either within the Aurora app or through the iOS Home system if you’re using HomeKit. The system works well and is quite sensitive to sound, reacting quickly to ambient noise. Note that it’s not only music that the Rhythm responds to. I tested the device in the throes of a severe cold and was amused to see the panels light up with every cough and sneeze. Surely you can imagine many additionally unexpectedly exciting scenarios of your own.